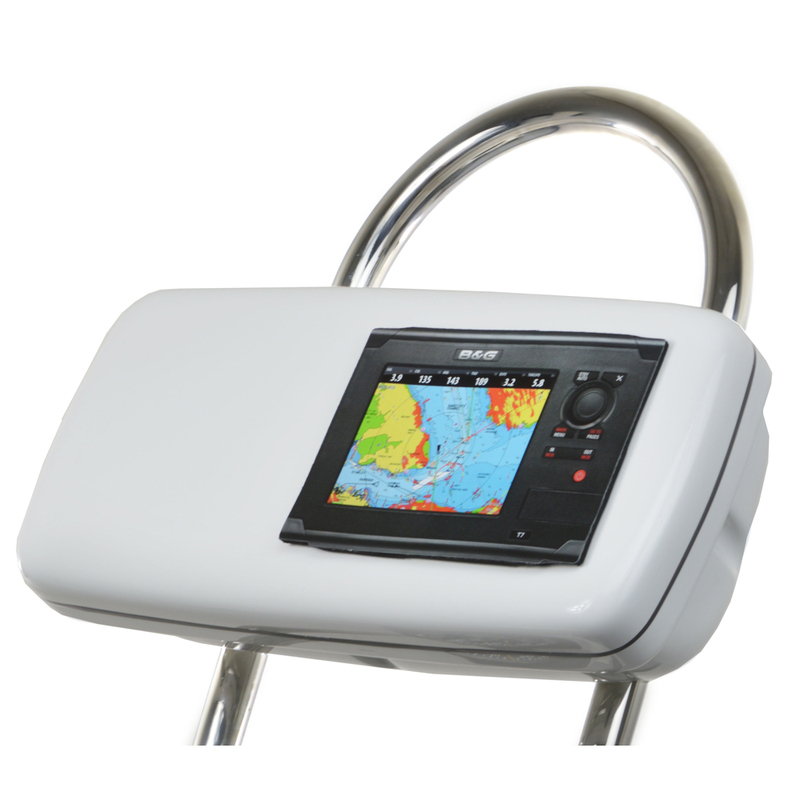 NavPod GP2040 Series - SystemPods for 12" Guards are for mounting one Raymarine C90W or E90W with two 3.6" holes for addtional marine electronics, all in one NavPod. This is a good way to reduce the height of a system. In addition to mounting a radar or chartplotter, you can have room for an autopilot, instrument, stereo controller, or VHF mic.